The graph shows the number of indoor cinema sites in the United States from 1995 to 2018. 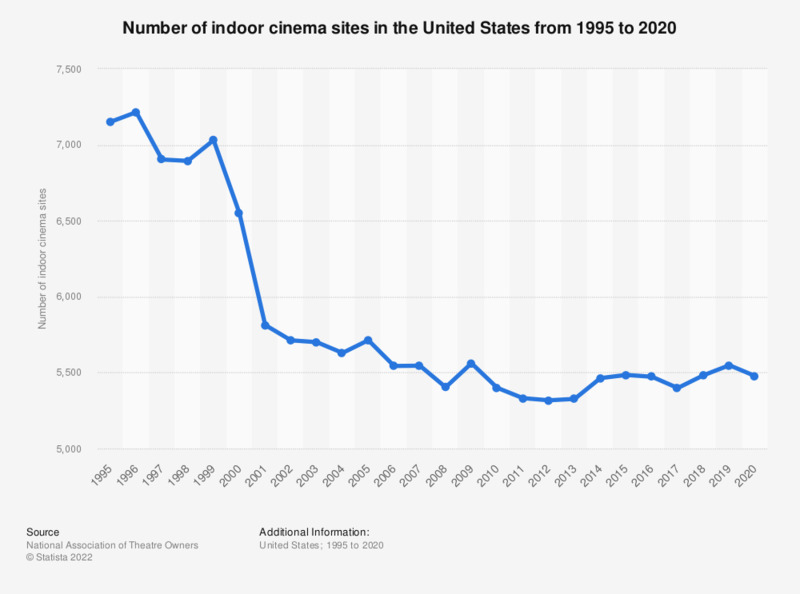 In 1996, there were 7,215 indoor cinema sites in the U.S. By 2018, the number had decreased to 5,482. Indoor screen/site counts are for the last day of each year. Among those films that received the Palme d'Or at the Cannes Film Festival, what is your favorite?